Mathematics offers a wide range of brain teasers. Using only the arithmetic operations, many mind blowing maths questions can be created. Here on the website one can find the wide range of Maths Questions which range from finding the missing number in the series to solving Maths Equations with the shapes and symbols. Also there are many different types of puzzles which are construed using different Trigonometrical shapes. 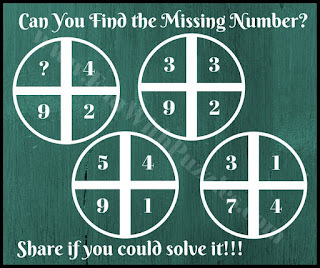 Today's Mind Blowing Questions are based on Circle shape which is the extension of the similar questions which are posted with title "Mathematical Cross Circle Fun Brain Teasers". 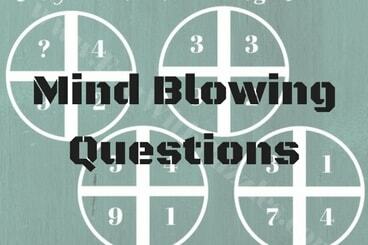 In each of these Mind blowing question, four numbers are given in a circle. These numbers are related to each other. Three circles contains all the four numbers which will help you to establish the relationship between these numbers. 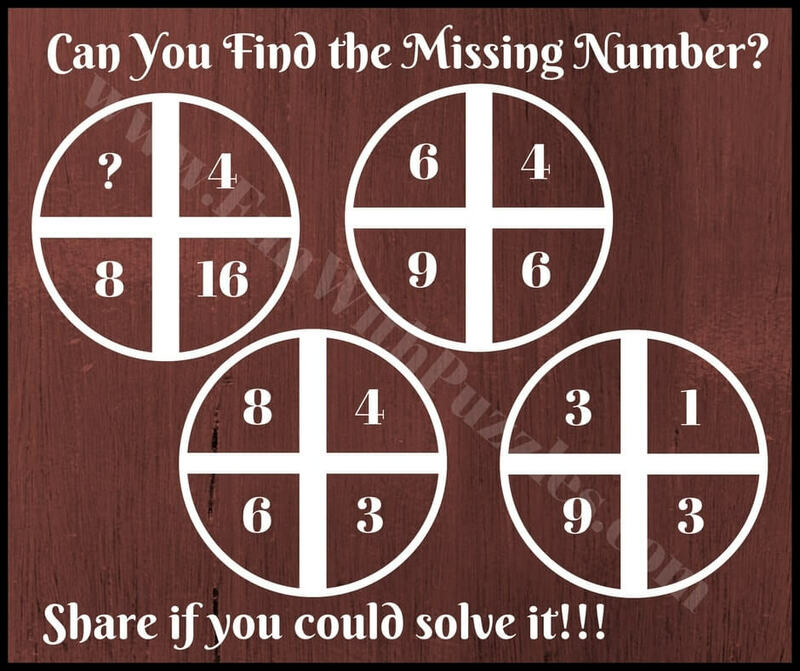 However in one of the Circle one number is missing. You have to find the relationship between these numbers and then find the value of the missing number which will replace the question mark. 5 Awesome Parking Brainteasers To Test Your Mental Sharpness: These are very interesting but tough brainteasers in which your challenge is to find the parking number on which a particular vehicle is parked. Crack the Code Puzzles with Answers: These are logical brain teasers in which you have to crack the code to open the lock. Mathematical Reasoning Puzzles : Maths and Logic go along with each other very well. In these puzzles you have to use both of your Mathematical skills as well as Logical reasoning to find the answers. Next Number Brain Teasers with Answers : At last solve these interesting pattern brain teasers in which your challenge is to find the next number in the series. 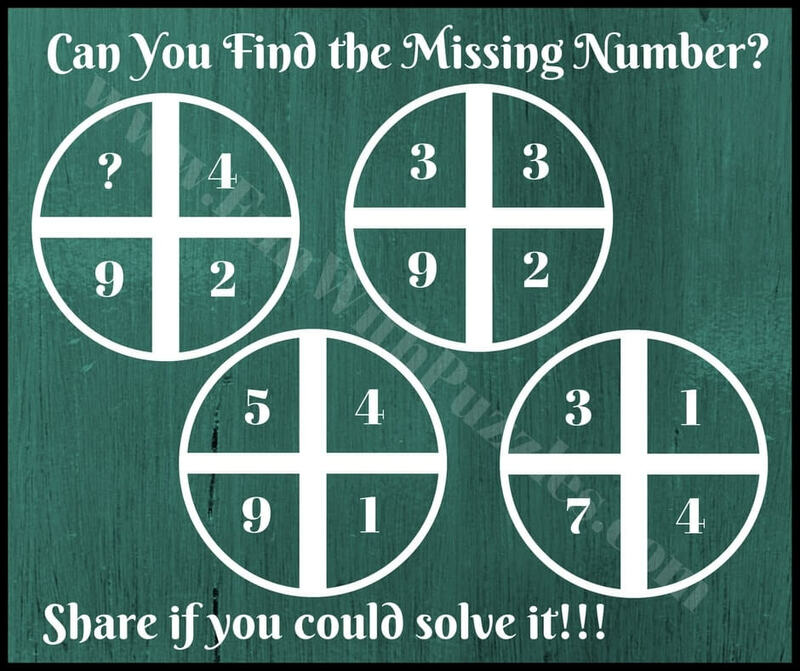 To understand the logic used in these Mathematical patterns lets first denotes the numbers given inside the Circle with letters. Reading from left to right and up to down lets mark the numbers with A, B, C and D respectively. These notations will help the explanations of these tough mind blowing Maths questions.